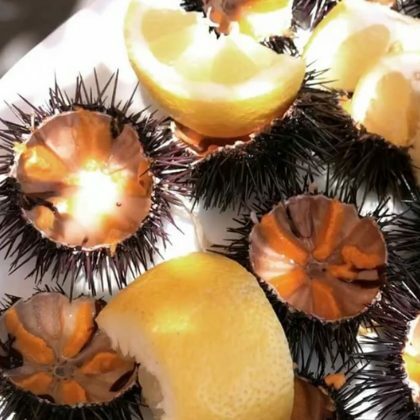 Designer Prabal Gurung let out a “Yum” over the “Fresh sea urchin” he ordered at Spilia Seaside Restaurant & Bar in July 2017. 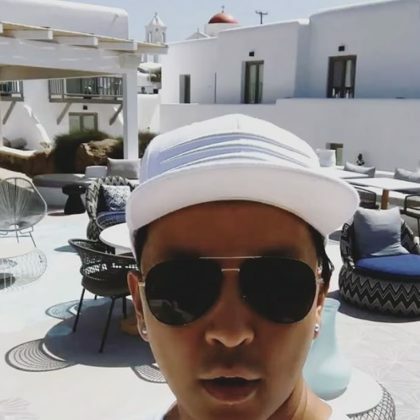 Designer Prabal Gurung stayed at Hotel LYO Boutique in June 2017. 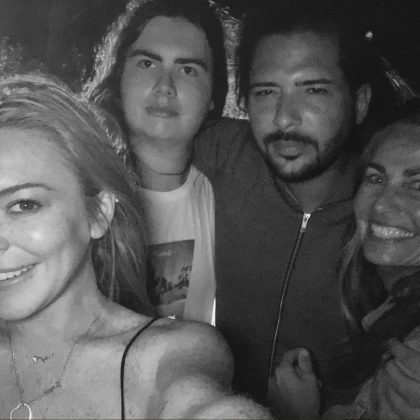 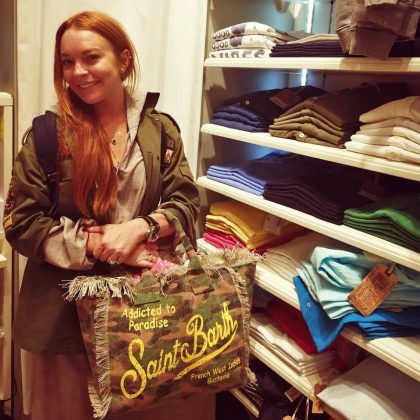 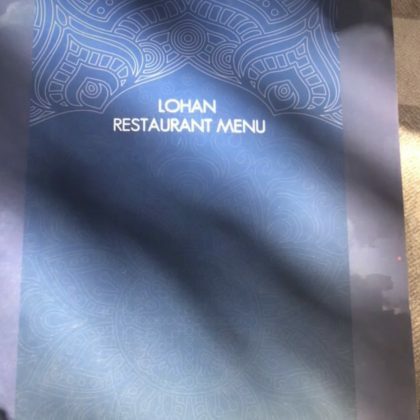 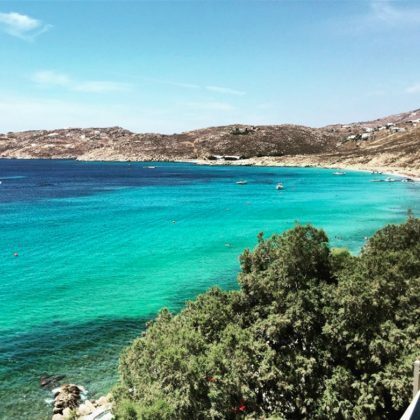 Lindsay Lohan﻿ was “Getting ready for summer” with a May 2017 shopping trip to MC2 Saint Barth, Mykonos. 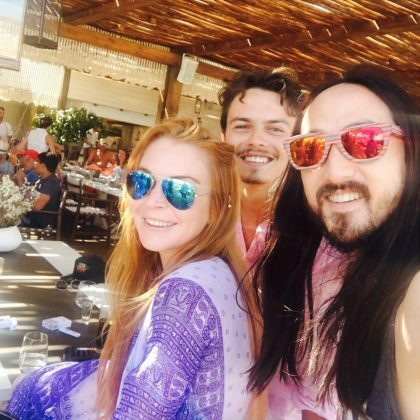 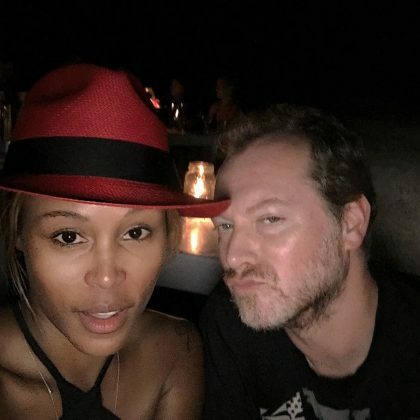 Eve﻿ checked in to Scorpios Mykonos in September 2016. 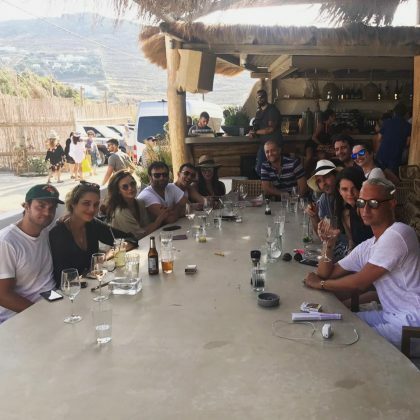 Bethenny Frankel﻿ was flanked by friends when she ate at Caprice of Mykonos in August 2016. 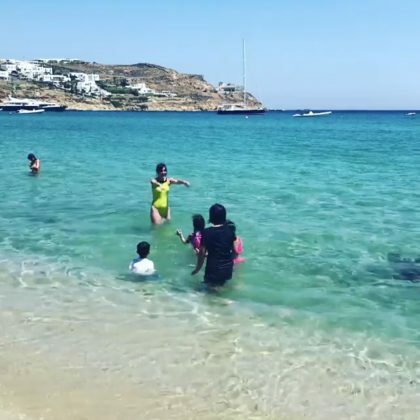 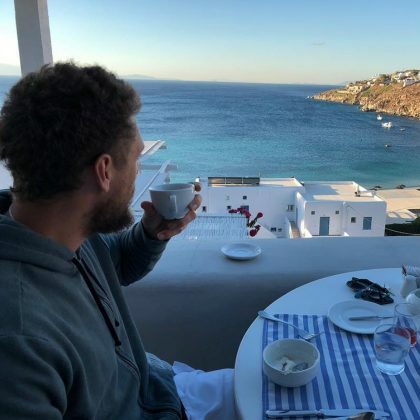 Adrienne Bailon﻿ waded in the water and sent “Kisses from Mykonos” while at Nammos in August 2016. 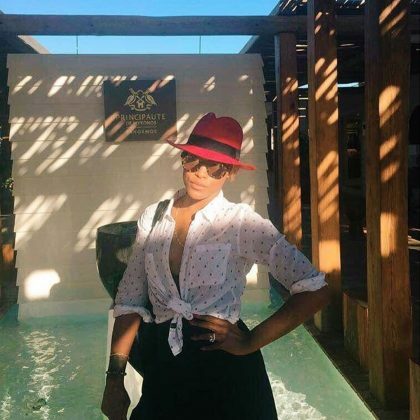 Karrueche Tran﻿ threw up two peace signs outside Rouvera Cafe Restaurant in July 2016. 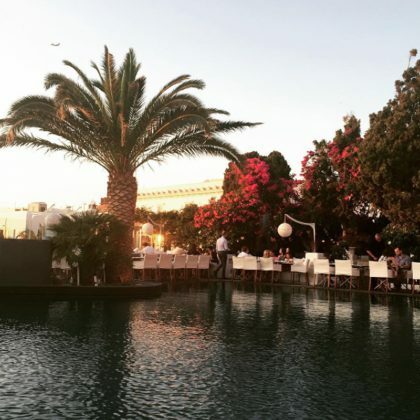 In February 2016, Ashley Benson shared a scenic shot of Hotel Philippi. 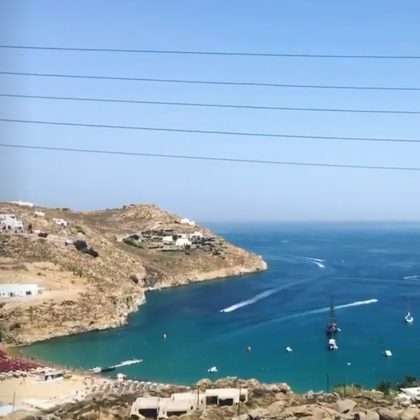 “Jump around” — Alessandra Ambrosio took a leap off a boat when she was checked in Agios Ioannis Beach. 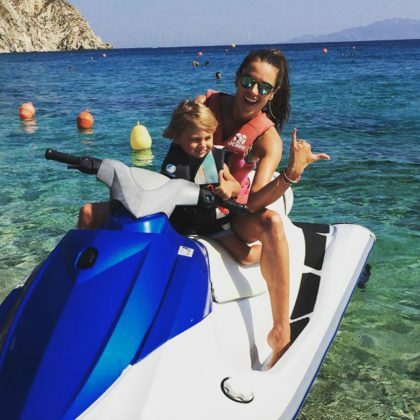 Alessandra Ambrosio checked in to Elia Watersports Center when she went jet-skiing with her son in August 2015. 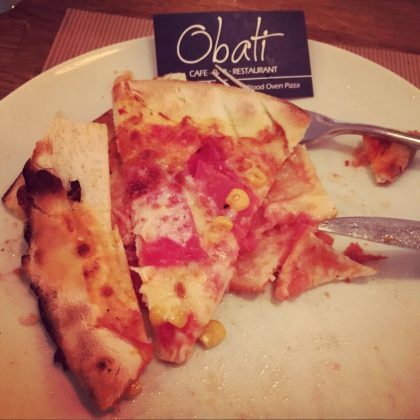 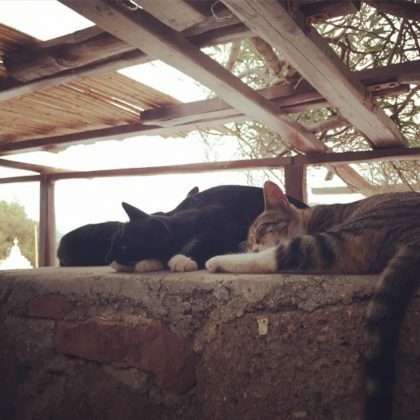 Alessandra Ambrosio﻿ captured a shot of some cute cats sleeping “After lunch” at Kiki’s Tavern in August 2015. 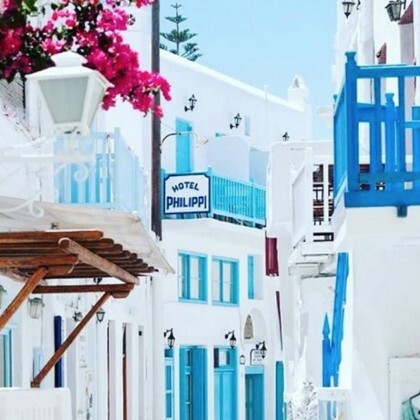 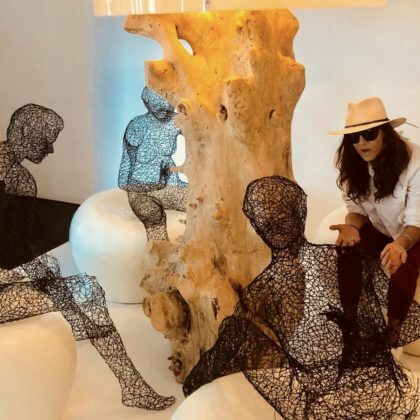 Alessandra Ambrosio﻿ had some “Windmill love” when she was at the Mykonos Windmills in August 2015. 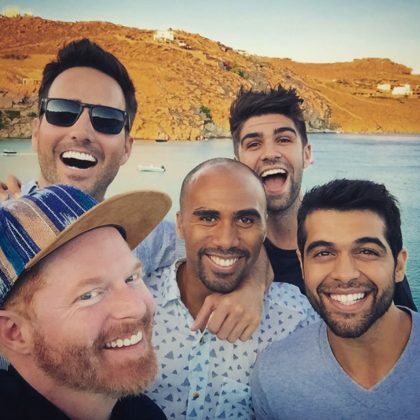 Jesse Tyler Ferguson, Justin Mikita, and friends checked in to Jackie O’ Beach when they were in “Myyyyykoooonoooosss” in July 2015.